Guardianship proceedings are commenced by the filing of an Order to Show Cause and a Verified Petition. Although many cases are clear cut, there are also contested guardianship proceedings. A guardianship becomes contested when a second party files a Cross-Petition. As a contested guardianship attorney, I have represented clients where there are disputes and have notice that these disputes have some common themes. Sometimes family members will fight over the AIP’s assets. A common example is when the AIP previously executed a Will or Power of Attorney designating a certain family member. Later on, the AIP’s health declines and they suddenly change all of their documents naming a family member or care-giver that was previously not on any documents. The previously designated family member then becomes concerned about the validity of these documents and the potential for dissipation of assets, and may commence a guardianship proceeding to prevent any “theft” or potential dissipation of funds. Sometimes the AIP opposes the petition and sets forth a position that he does not need a Guardian. If the AIP opposes the guardianship, the AIP may attempt to retain his own counsel and not use the Court appointed counsel that he has been assigned. The Court then would need to determine whether the person meets the statutory criteria of being incapacitated. Contested Guardianship Proceedings Sometimes Contain Disputes over Who Should be the Guardian. Another area of controversy concerns disputes as to the proper person to be appointed as Guardian. In these cases, all parties will typically agree that the AIP is incapacitated and needs a guardian. The real question is which family member should be the guardian. It is not unusual for one family member to claim that a competing family member either did not adequately care for the AIP’s health and personal needs or that there was improper involvement with the AIP’s assets. 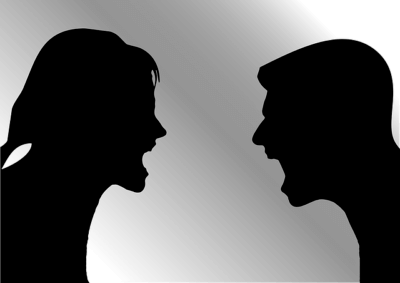 In view of the myriad of complaints that one person may have against the other, the Court may be faced with very bitter tension between the competing potential family members. One standard manner by which Guardianship Courts resolve these arguments is to appoint an independent third party as the Guardian. There are instances where the AIP is clearly incapacitated and cannot handle his activities of daily living. However, before becoming incapacitated, the AIP may have signed and put into effect a Durable Power of Attorney, a Health Care Proxy or a Living Trust. When there exists alternate and advance directives so that the AIP has already established a means by which his needs can be taken care of, the Court may not appoint a Guardian. Many Guardianship contests involve the validity of these advance directives. If the AIP signed a Power of Attorney or Health Care Proxy at a time when he was already incapacitated, the Guardianship court has the power to revoke or void such papers. Regina Kiperman is a NYC Guardianship Attorney. Guardianship is discussed in greater detail in the my blogs. My goal is to simplify your life and assist you with your endeavors. Please feel free to Contact Us to discuss your needs.